Lock in a great price for aloft Minneapolis – rated 8.6 by recent guests! The simplicity of room and really liked the white sheets. Good location, great bar and place to hang out. Fun decor. Sheets were clean, nice to have safe, fun selection of breakfast options. Great location. Facilities are top notch and staff is extremely helpful. The place was in a great location and had a fun bar with a great atmosphere in the lobby area! Rooms were cool and simple! The hotel is very nice and clean. I like the contemporary look. We had requested two beds but the room was a king size. The location to US Bank Stadium is a short walk with a Trader Joe’s right across the street. Hotel parking was full but there is a ramp close by. The location is right beside the Guthrie, which was very convenient for my trip. We also enjoyed the pool/hot tub area. The room was clean and nice. I enjoyed the friendly staff--I booked through booking but when I checked in at the property my reservation was no where to be found--front desk staff was very friendly and were able to get me into a room for the night. The rooms were very modern and comfortable. 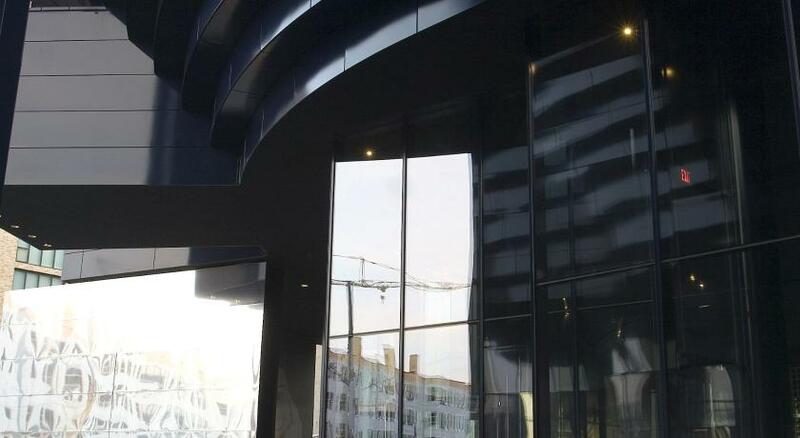 I was attending a performance at the Guthrie that evening and it was just around the corner! 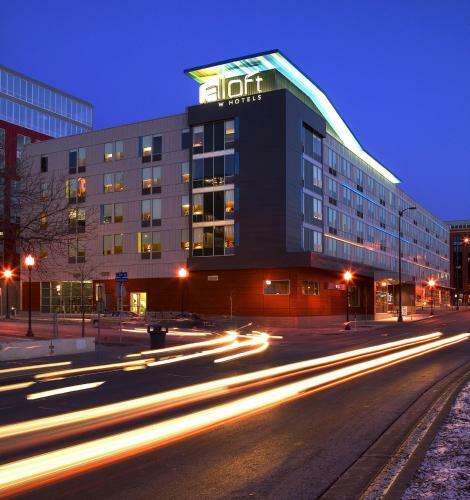 aloft Minneapolis This rating is a reflection of how the property compares to the industry standard when it comes to price, facilities and services available. It's based on a self-evaluation by the property. Use this rating to help choose your stay! 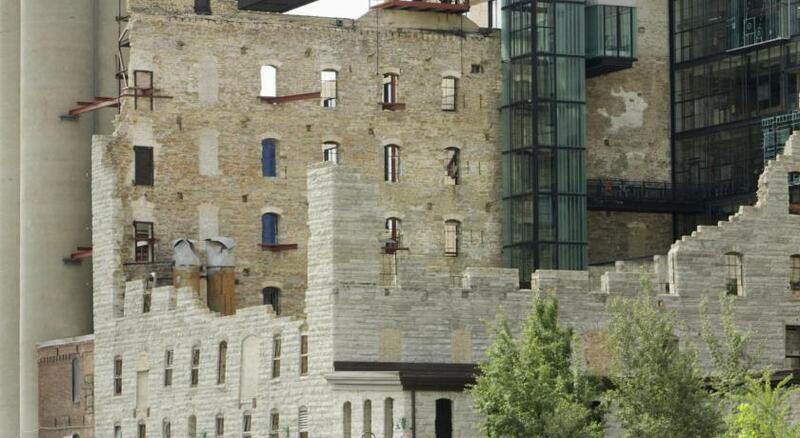 This Minneapolis hotel is located in the Mill District within a 5-minute walk of Mill City Museum. This hotel offers an indoor pool and a flat-screen TV in every room. The aloft Minneapolis provides guests with a 24-hour gym. Guests at the hotel can play pool in the re:mix lounge or have a drink in the Wxyz bar, which features cocktails and pub food. Guest rooms at the Minneapolis aloft are equipped with Wi-Fi and a work desk. Guest will find a coffee maker and refrigerator in every room. 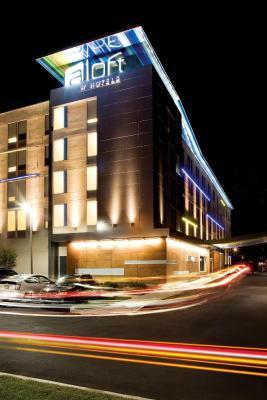 The aloft is located one mile from the Institute for Arts. 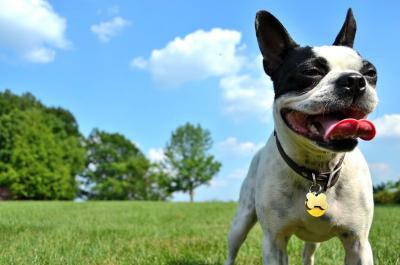 The Theodore Wirth Golf Course is 5 miles from the hotel. 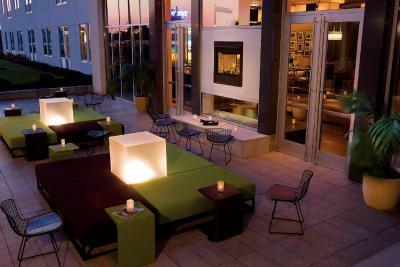 When would you like to stay at aloft Minneapolis? House Rules aloft Minneapolis takes special requests – add in the next step! aloft Minneapolis accepts these cards and reserves the right to temporarily hold an amount prior to arrival. Parking, had to park in parking garage but not a deal breaker. On a separate note, I book hotel rooms at hotels that have some sort of on-site dining and a bar/lounge so I can have a beverage before I go to bed. The bar is stated to be open until midnight, but we returned from a movie at 11:45pm and it was already closed even though there were still 2 people sitting at the bar. Great location. Nice amenities. Comfortable room. The air conditioning controls didn’t work right. My friend was so frustrated she just unplugged the unit. Bathroom & wall mounted tv! The pool is way too cold. Needs to be heated. Compact but attractive design of the room.